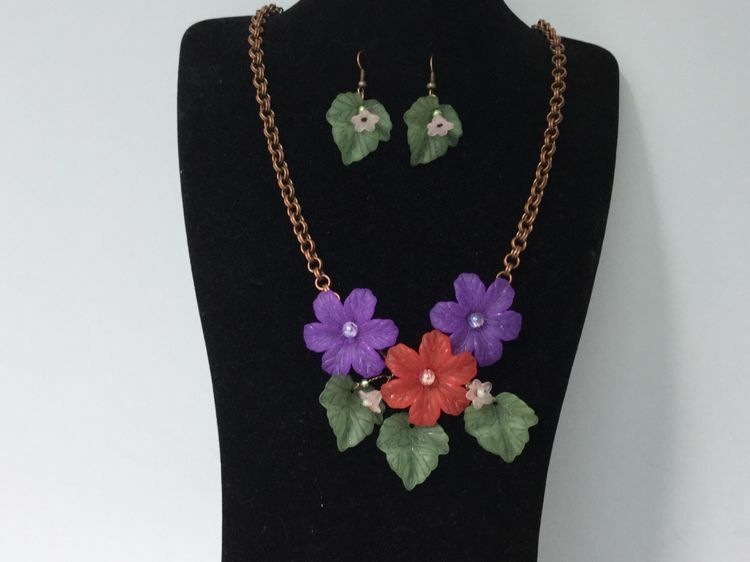 Such a pretty necklace and earring set. Once this technique has been mastered it can be adapted to make different styles of necklace, used with hair combs, brooches and so much more. There are also many flower beads in lots of colours to choose from. Plus different colour wires and chains if you prefer! This workshop will take about 2 hours to complete.